Since everyone must make life transitions whether they really want to or not, let me tell you about a musician from Fresno, California who has a successful history of making life transitions himself, and can perhaps offer you and I some insight on the subject of change. 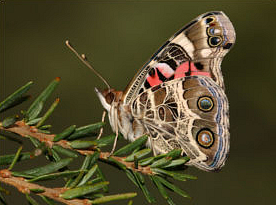 Michael Stribling is an award winning New Age music composer who readily embraces change having already made many positive adjustments in his lifetime. The newest album release entitled The Promise smoothly arrives at the next stage of his long career in music with a look and feel that confirms and conveys an admirable composite of electronic and ambient music. His transitions include earning a Bachelor’s Degree in Music, work as a radio announcer, performing in theatre musicals and playing percussion for Johnny Mathis just for starters. Michael Stribling’s story gets even better since after becoming a successful Licensed Marriage and Family Therapist offering help to those who needed a hand with their transitions, he returned to his love of music and formed Leela (Divine Play) Music. Michael Stribling’s return to music is beyond more than just promising since Michael’s first album release Songs of Hope and Healing made it to #1 on the Top 100 in the Zone Music Reporter charts, securing the Electronic Lifestyle Music Award in 2006 and Out of the Darkness, Into the Light, lit up the #2 spot on the Top 100 in January having 2 nominations for the Zone Music Reporter Lifestyle Music Award in 2007. Another Day in Paradise is indeed praiseworthy, while Love, Light, and Water, earned ZMR nomination for Best Relaxation/Meditation Album in 2008, making each day even brighter for this independent recording artist with an optimistic outlook toward the challenge of change. 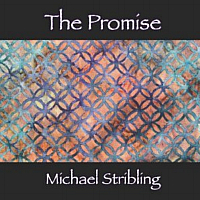 The Promise is Michael Stribling’s newest album to deliver 14 original songs like his newest composition in musical ambiance is an autobiography of his attitude, comprehension, and inner thoughts drawn from daily observations, then transcribed into beautiful music. Beginning with Bright New Day a crisp new perspective is announced by abundant keyboard activity that vividly lights the occasion while percussion distinctively beats beside a synthesizer full of energy, creating much animation by the opening number to forecast what lies beyond in future melodies. Daily Living likewise moves right along in style and tempo by the upper register bell tones that counteract with middle range melody like the positive vibes given in Angular Reasoning and the uplifting theme projected during All In Good Time. Like many songs in his earlier projects, The Promise album does take timely breaks into the deeper hues of contemplation and reflection. Forgotten Dreams exemplifies this apparent yin and yang transition to a more down to earth reasoning with a single oboe tone melody bordered by a mesmerizing and hazy background, touching on a bit of sadness which is after all, a valid part of the total human experience. Love’s Anticipation brings a realistic and happier yes response by the lighter melody along side piano passages, much like the easy going natural feel presented in Distant Shores. Title song The Promise begins with a quiet moment of solitude in a melancholy horn tone wrapped in sadness, but this moment gently advances forward in a creative moment of divine intervention nicely provided by the artist. Visit Leela-Music.com and sample The Promise at CDBaby.com.